Established as a Sole Proprietorship firm in the year 2013, we Jani Import Export are engaged in Manufacturing, Importing, Exporting and Wholesaling an extensive range of Embroidered Fabric, Georgette Embroidered Fabric, Allover Embroidered Fabrics, Apparel Fabrics, Designer Kaftan, Ladies Kaftan and much more. The brand in which we deal with is Ethnic Legend. 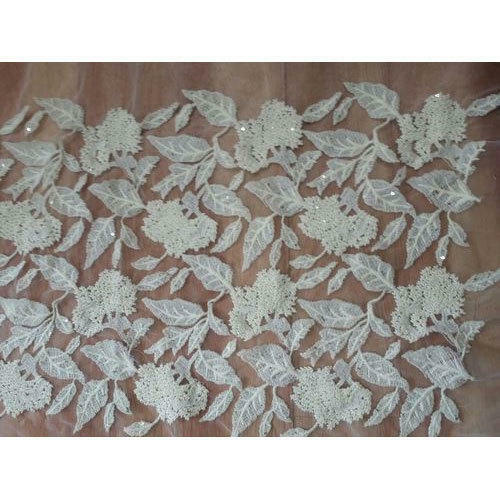 In addition to this, we also specialize in providing embroidery work on fabrics, embroidery work on the net, laser flower cutting, crystal work on net and fabrics, patchwork and all types of beaded work. Situated in Surat (Gujarat, India). Under the far-sightedness of, “Mr. Uday Jani” (Proprietor), we have been able to satisfy the varied needs of our clients in an efficient manner. Our talented team of in-house designers selected from the top designing institutes provides fresh and new designs as per the latest fashion trends. The team drives its inspiration by real-time research and analysis on the latest trends running in the global fashion markets.